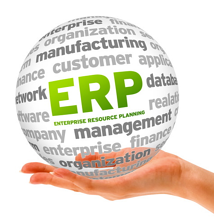 A common misconception is that any ERP solution will mold to fit the needs of any company, in any industry. The truth is, not all ERP solutions are created equal and choosing the wrong solution can result in increased costs and longer implementation time. If you’re a high tech or electronics manufacturer in the process of selecting a new ERP system, knowing what to look for can be half the battle. To ensure your ERP system includes the basic functionality needed to support critical processes for electronics and high tech manufacturers, there are three must-have features that should be included in your ERP solution. Electronics and high tech companies are must satisfy an increasing amount of compliance and governmental regulations. Be sure your ERP vendor is familiar with the compliance regulations that are unique to your industry and offers tools to support those requirements. Every ERP system under consideration should include robust quality control capabilities and the ability to attach and manage documents. Undeniably one of the most important tasks for any electronics and high tech manufacturer involves effective cost control. One of the top ways to keep a handle on costs is to ensure efficient shop floor execution. Your manufacturing ERP system should include visual shop scheduling tools that ensures your team has the tools they need to set the right priorities to ensure on-time deliveries to customers, eliminate waste and maximize throughput. Electronics/high tech manufacturers are subject to a variety of strict national, regional and international regulations. Check that your ERP vendor offers lot and serial control, which can help to prove item composition and country of origin for duty drawbacks, VAT taxes or compliance. Accurate product genealogy should also be on the feature list, as it can simplify recalls and minimize compliance costs. For even more ERP features your system should include, download the guide,6 Must-Have ERP Features for Electronics & High Tech Manufacturers.